Yesterday, Anna put together a great post on how to bone the seams of your corset. Like Anna, I am only boning the Side Front, Side Back, and on either side of my eyelets - giving me a total of 8 bones in total. You can add more if you like! This corset sits fairly low over the hips. Because of this, I am not boning the entire length of my seams. Prior to adding my contrasting bone channels, I made small "tacks" where I want the bone to stop. You can choose to bone the entire length. Anna and I are both using plastic boning - Anna is using this amazing vintage Featherbone and I am using modern plastic boning. Both come in a casing, that will be removed. Round off the end of your boning with scissors. Smooth off any rough edges with a file. Insert your bone into your french seam "Casing". It's pretty tight, but you should have just enough room to squeeze the bone through the case. Next we're onto binding and eyelets! How is everyone progressing? Have you hit any road blocks? Aside from the Sew Along, I've been busy drafting new patterns for a new collection of pieces, more 40's and 40's inspired, more utilitarian and less ruffled. I'll still have some ruffles, but just a little less. These pieces will have lots of stretch mesh, interesting lines, appliquéd lace bows and hearts, and will involve classic prints like polka dot, leopard print, and some unique, large florals. It is pretty different from my ruffle bloomers... and I hope people will like it! 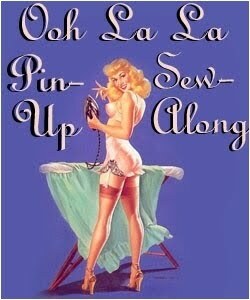 I've been obsessing over Pinterest lately, and have created a board almost entirely of vintage lingerie and swim suits. 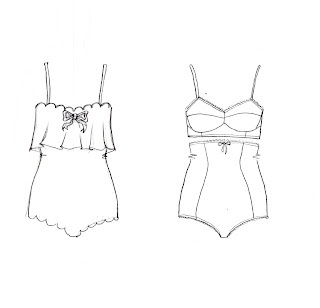 I've been drawing a lot of inspiration from the stitching lines used in retro lingerie, as well as the insertion lace & appliqués, and bubble hip bathing suits of the '50s. The flounce top with the scalloped edge is going to have insertion sequin mesh, if I can figure out how to make it look just right. For now, I've just pinned on the rough design I'd like to use. I have also been toying with the idea of selling patterns, but I don't know whether I would be shooting myself in the foot, or if people would even be interested! If you want to add some contrast to your corset, adding contrasting boning channels is an easy way to do it. You will need a yard of contrasting fabric - any type will do, but avoid knits. I'm working with a pale pink charmeuse. Before adding these contrasting bands, make small tacks where the boning is to end on your bone channels. I am not boning the entire length of my seams in this corset. The pattern is marked where the bones are to stop. Because I am working with a flimsy fabric, I am cutting my bias strips quite wide, at 1 ½” - bias strips are made by cutting the fabric on a 45 degree angle. If you are using an easier to manage fabric, you may want to cut your strips narrower, by about 1/4". We're going to end up with a strip that is 1/2" wide. Fold your raw edges in and press with a hot iron, so you end up with a ½” wide strip of bias - I trimmed off excess as I folded. Wider strips of flimsy fabric like charmeuse are easier to work with, and cut down as you go. If it is easier for you, pin your bias strip over your seam, or simply hold as you go. Your bias strip should be just a “smidge” wider than your top stitched seam. Stitch it down, as close to the edges as you can! You should be just about stitching over your to stitching. So, Why can’t you just stitch on a bone casing line this to put your bone under? 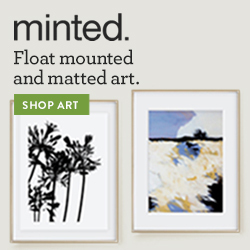 Well, you can - if you are using something like a twill tape casing, or a sturdier fabric. With a single layer of charmeuse, your bone will quickly, and I mean quickly work its way through these bias strips. Your bone needs a couple of layers to sit in between, in order to have a garment that will last. And there you are - contrasting bone channels! 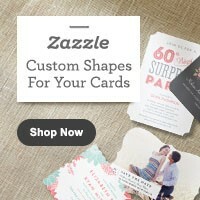 What kind of embellishments have you added so far? For Corsets that will lace, iron your interfacing on the wrong side of your self fabric. 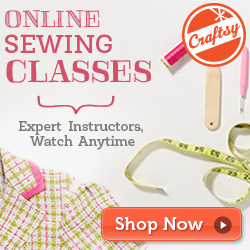 If you are not using a lining of any sort trim back your interfacing piece by 1/2". Place your lining over top, and fold your facing over approximately ½”, and again 1 ½”, so you have something that looks like this. Press into place! Stitch along the edge of your facing. Stitch another row ⅜” in from that (towards the center back), and a 3rd row of stitching ⅜” in from your center back line. You will now have 2 casings for bones, on either side where your eyelets will go. This will reinforce your eyelets and prevent them from pulling or popping out. 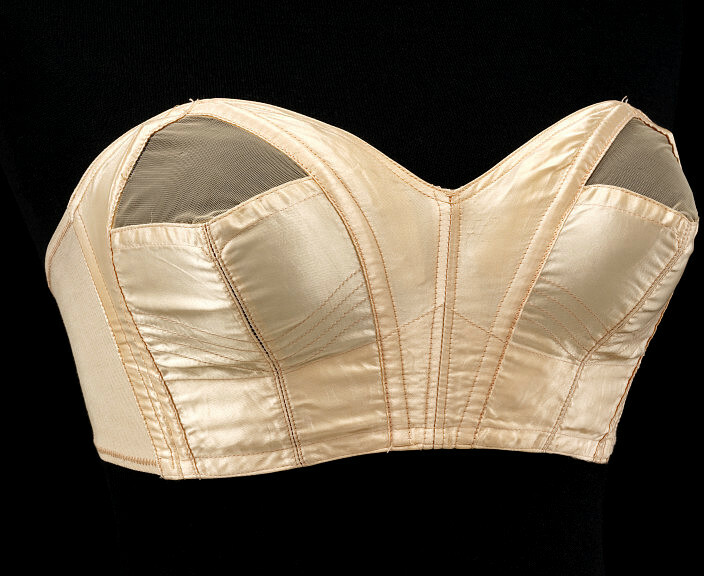 You should now have a something that looks like a corset. Here's what the inside of mine looks like, flat lined. Neat and tidy! 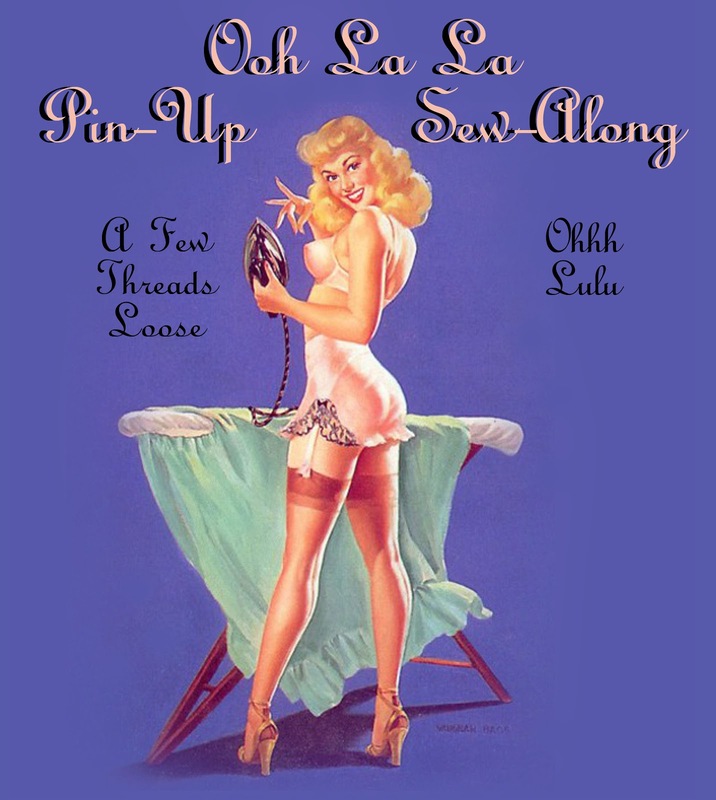 Ooh la la Pin Up Sew-Along... Corset boning and why you need it. The question is, are you wearing it to the bedroom or the boardroom? Boning your corset is always best, to be honest. In my experience, unless it’s hiding under a dress, bedroom lingerie has a shelf life of about 2.5 minutes before it lands on the floor. That 2.5 minutes doesn’t require too much support. The main point of the side boning in this corset is to keep it from folding and bunching up on you when you bend over. There are several kinds of boning that you can use both new and vintage. My mother, the fantastic vintage dealer and former custom corset-maker literally has buildings full of vintage clothing, patterns, ribbon, fabric, notions and a million other things. 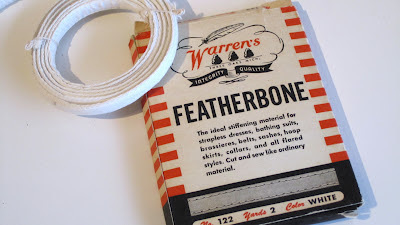 Last summer on a visit home she and I dug through boxes and boxes and I stumbled across more than one large box that was overflowing with old bias tape, rick rack, needles, ribbons, spools of thread, and to my delight, a box of Warren’s Featherbone. Needless to say, I bought an extra suitcase to drag the contents of the box home with me. 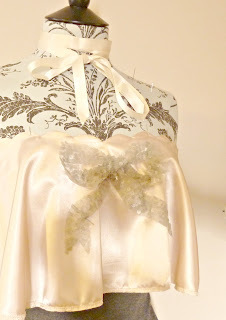 Since I’m using vintage satin and lace, it’s obvious I need to throw some vintage boning in the mix. The Featherbone seams to be a somewhat flexible fiber and plastic composite material already covered in a neatly stitched casing. It’s not too easy to find but so far I love working with it. There’s a box of it for sale here. I'm so excited about Anna's Vintage Boning Find, and can't wait to see her finished corset! It sounds like it will be a beautiful reproduction piece. Most corsets of the 1940’s and 1950’s would have used flexible plastic boning but there are several kinds of boning you can choose from. Throughout time, people have used everything from baleine (whale bone) to reeds to stiffen their undergarments. Here is a run down of some relatively easy to find boning. Spiral steel boning is made of a flattened, coiled metal. It is very flexible, and can be purchased by the yard or in pre-cut lengths. Spiral boning comes in different widths - the wider the bone, the more supportive. Spiral boning works nicely to shape the sides of corsets. When buying yardage of this type of boning, you will need to purchase bone tips to cover the raw ends of the bones. Spring steel bones are very rigid, plastic coated metal bones. These are are very strong bones that are somewhat flexible, but do not easily bend. Spring steel bones come in differing widths and thickness. The thicker the bone, the less flexible it will be. Spring steel bones are great for putting on either side of your lacing, to help reinforce your eyelets, or down a flat front corset. Plastic boning is the most common type of boning. It comes in different densities and thicknesses. Regular Plastic boning (sometimes called featherweight) is a thicker boning, that generally comes in ¼” widths. 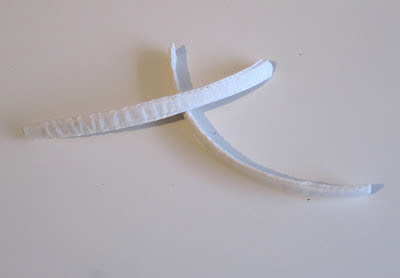 Rigilene boning is a lighter weight boning that can be easily sewn through, and tacked into place. 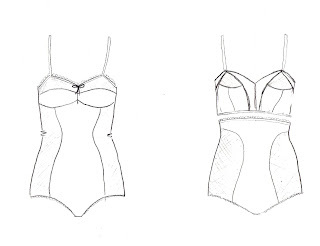 Either type of boning is suitable for the corset girdle. Plastic boning is quite flexible, but can retain bends, unlike spiral steel boning. Most plastic boning is sold in a casing. A combination of Spring and Spiral Steel bones will make for a more durable corset that will take off more inches. 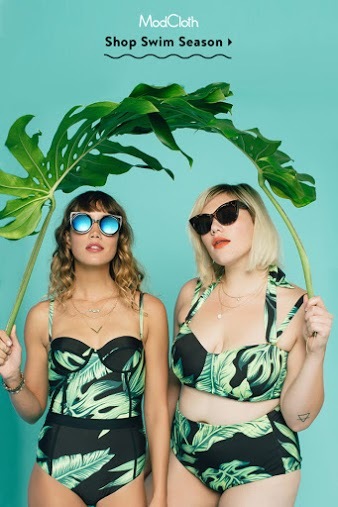 Plastic boning is quite comfortable, easy to care for, and good for every day wear. http://www.farthingales.on.ca/ Canadia corsetry and costuming supplies. http://www.corsetmaking.com/ a US Based corset supply retailer. http://www.venacavadesign.co.uk/ a UK Based corset supply retailer. More on your muslin next. Anna has posted a similar post on how to print and use your pdf pattern - Please follow Anna's instructions if you plan on using hook and eye tape to close your corset. 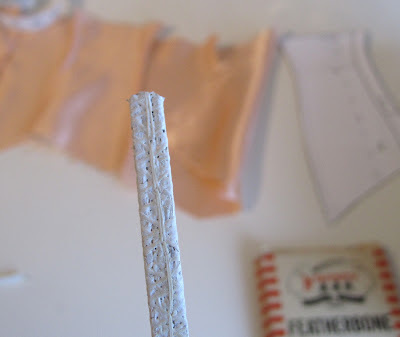 If you are planning on using eyelets to lace your corset close, follow my instructions below! Using tracing paper, trace each piece in your size. I am adding my seam allowance to my traced pattern pieces. Once you have carefully traced each piece and all markings, add your seam allowance. I am using flat felled seams to encase my 1/4" boning. I am adding a total of 5/8" to each side of each panel, except for the centre front panel, which is to be cut on the fold. I have not added seam allowance to the top or bottom, because I plan on binding my edges. For corsets that will lace - add 2" to the centre back seam. This will form a facing. We will also need to draft an interfacing piece to reinforce this section. Why do you need to face and interface this section? There will be a lot of pull on the grommets - if they are set through 1 layer of fabric they are going to work their way through in no time. You will also want to add boning along either side of the eyelets to prevent "scrunching" (ick! ), and the facing will form your bone casing. Measuring in 2" from the centre back line, draw a line straight up (parallel to the centre back line). Voila! Your pattern for an laced corset is complete! 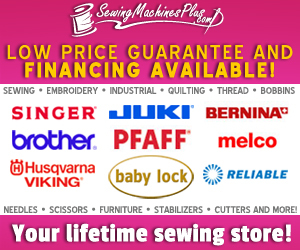 You are now ready to use your pattern pieces to cut out your muslin.